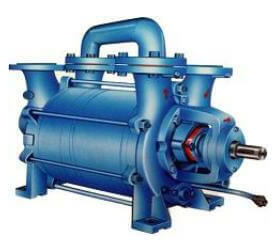 Water-ring Vacuum Pump is provided with a balanced rotor that is shaped as a cylinder with a hollow hub & it is attached to radial blades that rotate freely in a circular casing. The rotation of the blades in the circular case generates working spaces. 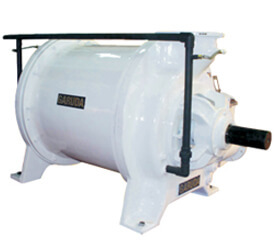 As the rotor moves from the lower to upper vertex the volume of the working space enlarges and vice versa. 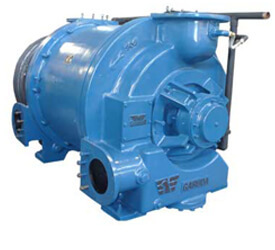 When the working space is evenly distributed on the edge of the rotor, an incessant suction as well as ejection of water happens.